We have a new special offer for our clients - a very low discount charge (which is the equivalent of interest when referring to receivables financing facilities). The offer is an invoice finance discount charge of 1% over base rate (base currently being 0.5% at the time of writing), for the first 12 months from taking out a new facility. 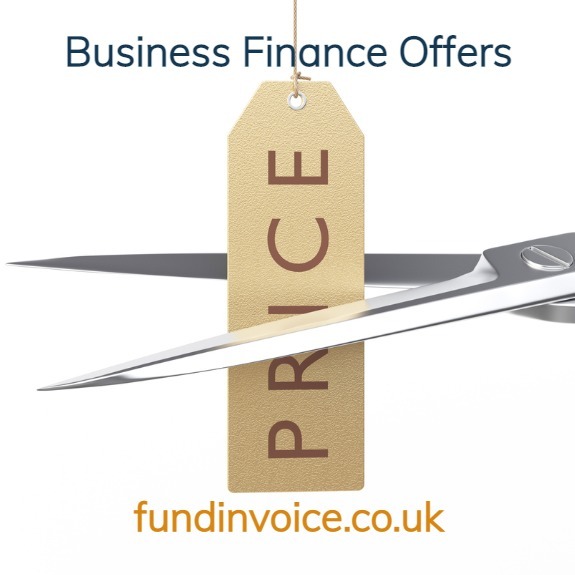 The offer is being made by just one of the invoice finance companies that we deal with, to new clients only, and your company and directors will need to be of reasonable financial standing to qualify (details on application together with details of other charges that are applicable). So this is not an offer that is going to be applicable to all companies e.g. directors with prior bankruptcy or disqualification orders (if you have prior bankruptcies or a spent disqualification order but in such situations we may still be able to find you other sources of business funding). The offer applies to companies that require funding in excess of £1M (funds in use). The offer could be withdrawn at any time, so please get in touch immediately if you would like to find out more details, either via the green application form on this page, or call Sean on 03330 113622 in confidence.